Supposedly, absence makes the heart grow fonder. However, the absence of an owner sends some dogs into wailing and barking, frequent house soiling, and self-destructive behaviors. 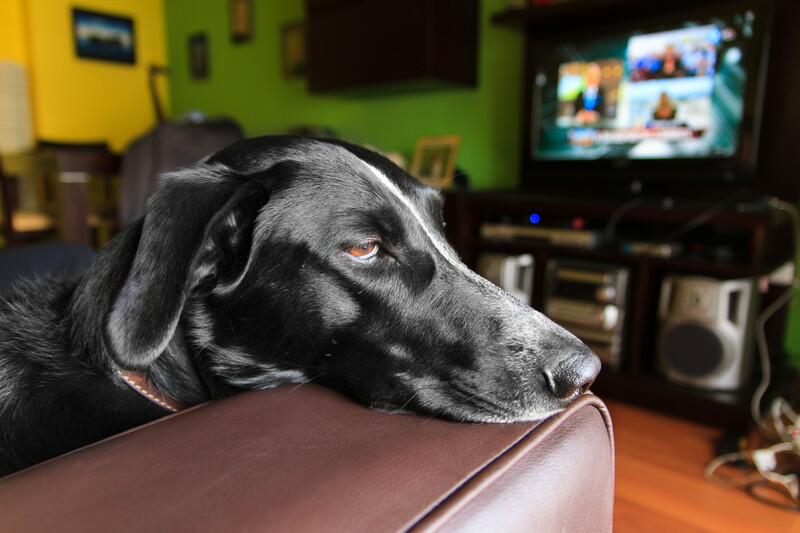 These are all signs that a dog is suffering from separation anxiety. 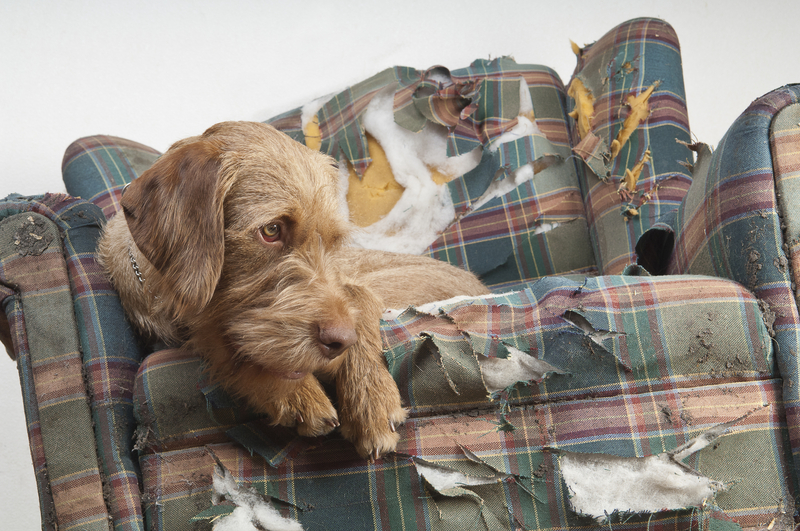 The canines most likely to fall victim are second-hand dogs. Whether from a shelter, rescue group, or greyhound-track adoption program, dogs re-homed in adolescence or older are at greater risk of suffering separation anxiety than puppies. This is probably because it is more difficult for these dogs to accept changes in their routine and environment. They cling to their new pack leader and panic when that leader leaves home to go about his or her daily business. For similar reasons, unemployed companion animal owners or those who take lengthy at-home vacations or recuperations may find that their dog becomes disoriented when they return to work. 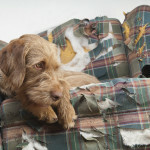 These distressed pets need help. Separation anxiety is often a problem of over-bonding. It is not healthy for a dog to follow his caretakers’ every step, to be constantly in the same room, sharing the same piece of furniture, being in close contact all the time. Promote independence by teaching the dog to down and stay on his own bed while you go out of sight. Start with a few seconds, then build up to a length of time the dog can tolerate. Put up a gate and eventually close a door between the two of you. Get family members involved in dispensing the “good stuff” to the dog. Walks, play sessions, and feedings should not be provided by only one person, for that person’s absence means the end of all that is good in the world to the dog. Panic can ensue. 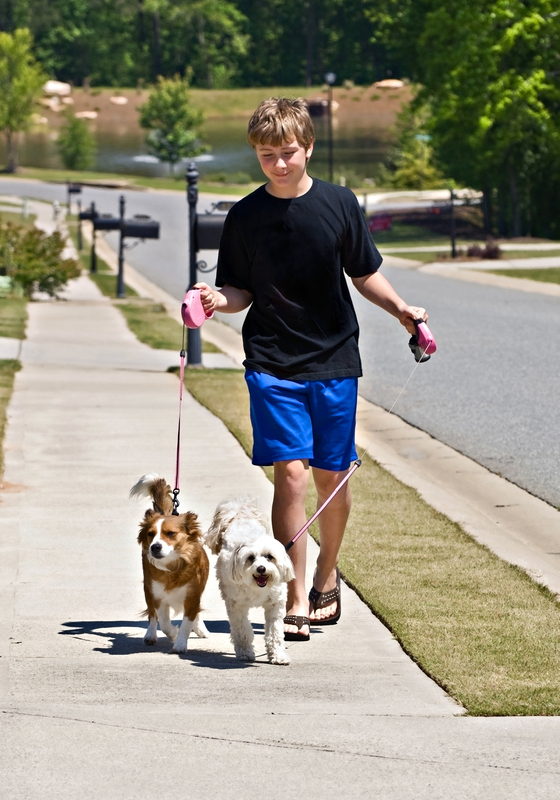 If you live alone, perhaps a neighbor or relative will share the duties, or hire a pet-care professional to assist you. The worst of a dog’s hysteria is often during the first hour after departure. Diffuse the emotion of your leave-taking by heartily exercising the dog right after you wake up. Then, after feeding him, scale back your attention to the point of ignoring him during the last 15 minutes before you leave. Turn off the lights and turn on the television, radio, or white-noise machine—whatever you play most when you are home. And with no more than a whispered “Be good,” leave the house. Some dogs will read the signs of imminent departure and begin to work themselves into a frenzy. If putting on make-up, packing a lunch, or shuffling papers in your briefcase distresses the dog, desensitize him to these or other actions by doing them frequently and at other times (such as before mealtime) so they lose their direct connection to the dreaded departure. Presenting a toy stuffed with goodies can draw the focus of less seriously afflicted canines toward cleaning out the item and away from your leaving. Buster cubes, Kong toys, Goodie balls/ships work well as canine diversions. Unfortunately, the seriously afflicted dog will not give the toy a second look until his pack is together again. 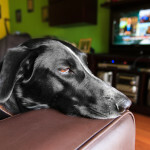 Separation anxiety can be severe and all-consuming to some dogs. I have known dogs to jump through second-story plate-glass windows, eat through sheetrock walls into neighboring apartments, and bloody their paws and noses trying to dig through wooden doors or out of crates. These individuals need professional assessment by an applied animal behaviorist or veterinary behaviorist, for they may need pharmacological aid while they undergo desensitization exercises. Some people choose to manage the problem by dropping off their dogs at day care or adopting a second dog so they are never truly alone. Luckily, if the earlier suggestions are followed, the majority of dogs will be howling “I will survive” in no time. Thanks to Jacque Lynn Schultz, Director, ASPCA Special Projects ASPCA for giving Texas Animal Guardians permission to use this article. Permission provided from the ASPCA.